Glorious sunshine flooded over the lower Chilterns on Sunday morning, though conditions were tempered slightly by a firm North-Westerly breeze. 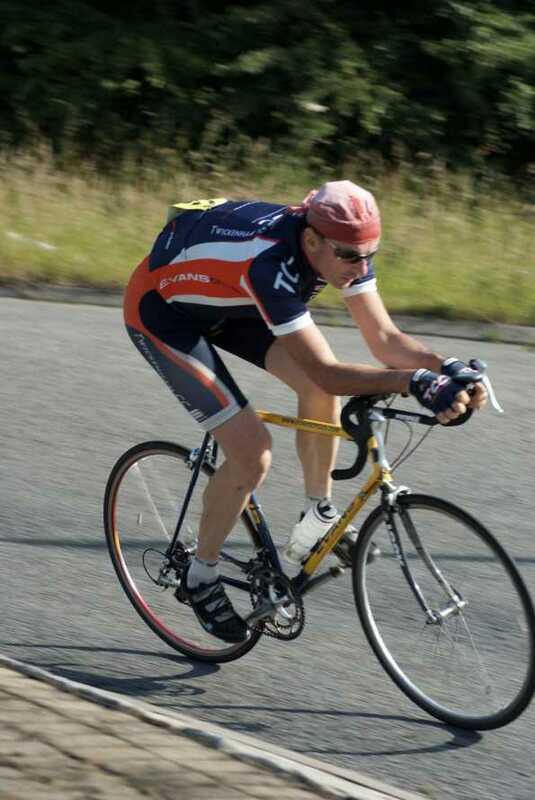 Dave Peck made short work of the task in hand by delivering a rasping 59:23, and was indeed only 21 seconds away from the fastest time of the day! More excellent photos from Andy Cowburn can be viewed here. 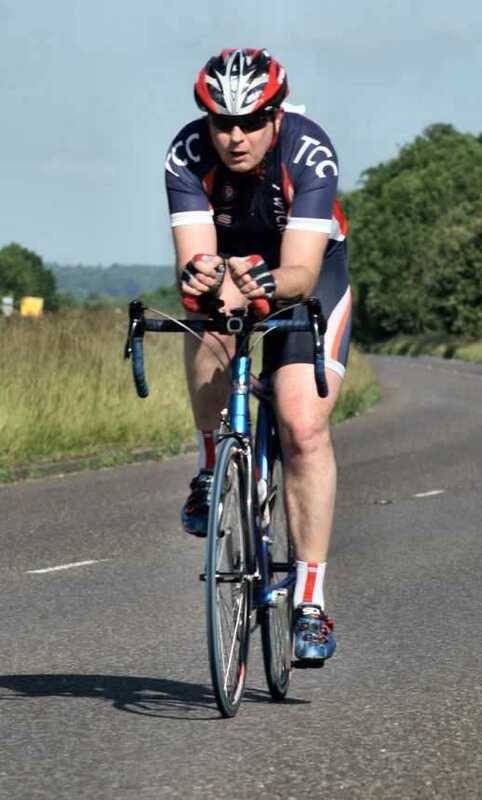 Tom Sutherland took a deserved 4th place at Thruxton on Sunday at Susies Circuits, organised by the Omega RC. I drove out to Thruxton for some 3rd cat circuit racing on Sunday. It was a blustery old day but it was hot and sunny. We had 12 laps to do and the race started very slowly! We did the first lap at a very gentle pace with no one wanting to do any work in the midday sun. About half way through the 2nd lap the attacks started to come. Groups would get about 200m or so ahead but then the pack would slowly gather itself and reel them in. At one point a bigger break or perhaps 12 riders got away so I decided to try and jump across to it in case it stuck. I made it after a mile or so of chasing, but after another lap or so we were reeled in by the bunch, mainly due to a lack of any concerted effort among the riders in the break. After tiring myself out chasing the break I went to the back and ate a banana and had some drink. 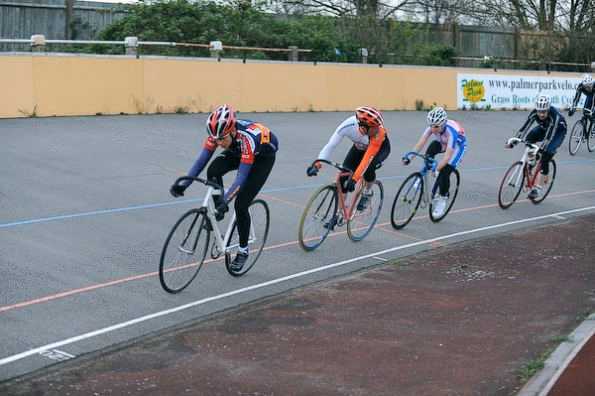 With about 3 laps to go I started moving towards the front to get more involved in the racing. There was a break out but they were not too far away. With two laps to go they were still out in front but catchable. I have never been in a bunch with people so reluctant to work! I tried to do as little as possible, and shouted at a guy in yellow who kept refusing to come through me, but he told me where to go and said he wasn't going to do any work (pleasingly I ended up beating him anyway!). It looked like this little group of 3 would stay away so I did a longer stint with an 'Army' rider and between us we pulled them in quite a bit. Once they were closer everyone else woke up and started to push hard. Coming to the rise to the chicane for the final time they were swallowed up and I found myself in the top 10 or so going through the chicane. I left my sprint a little late and only made it up to 4th, though I was closing on the small bunch of riders that pulled off to take 1st, 2nd and 3rd. I was not in the right place coming out of the bend and didn't go with them when they went for the sprint. By the time I went it was too late to get them. Must be more vigilant. Still lesson learnt and 6 points for the tally. 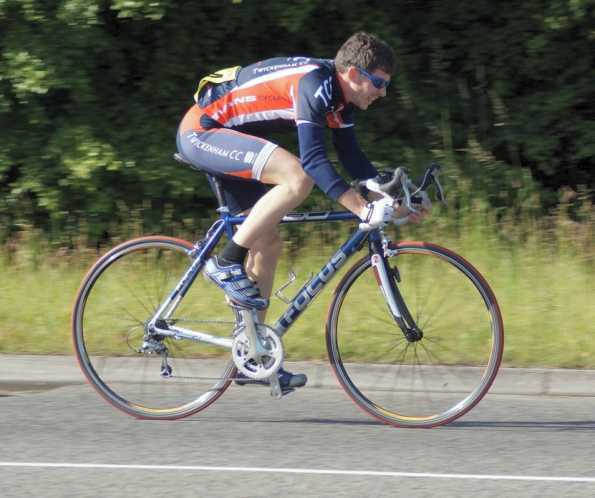 Gavin Mitchell was the Club's sole representative at Hillingdon, finishing in 35th position. Well Done to Russell Childs for picking up 4th place on Thursday. Darren Paice and Sandy King graced the tarmac at Hillingdon last Tuesday. To find out how they got on, click here. 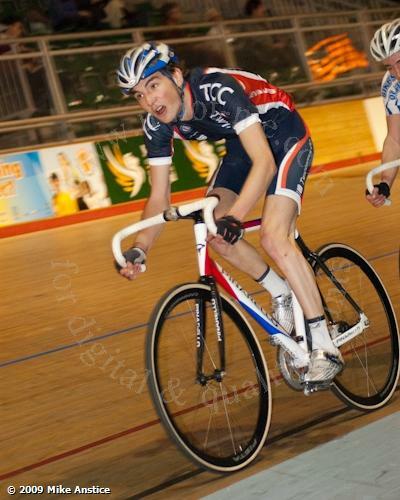 Gavin Mitchell was 4th in the 10 Lap Scratch Race. 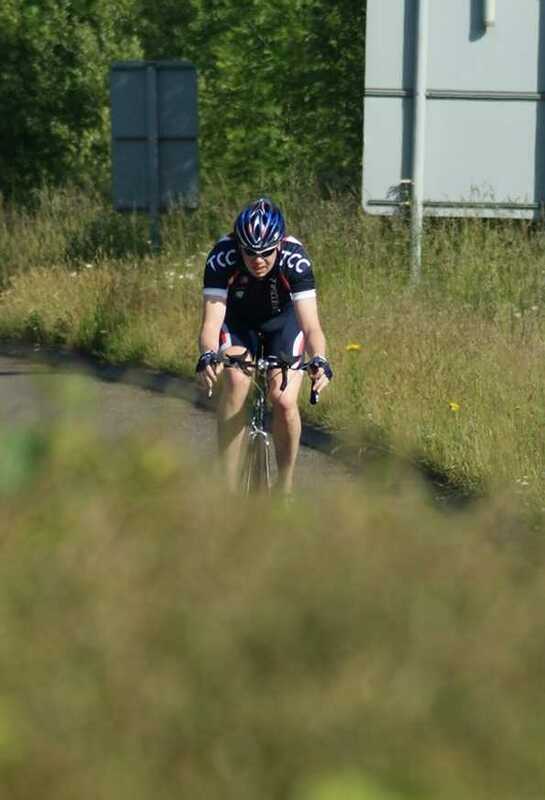 Steve Morgan completed the 100 mile route in 7:12, whilst Darren Paice rode the 50 mile route in 4:35. 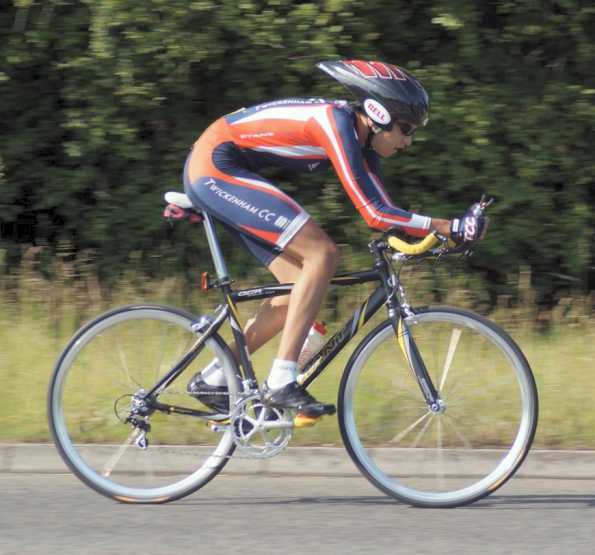 Good Luck to the Ladies / Gents who travel up to Stratford-upon-Avon to race on Sunday in the Womens National Team Series / Spuik RR, and also those riding in the Central Region Sprint / Pursuit Champs this week at Reading. 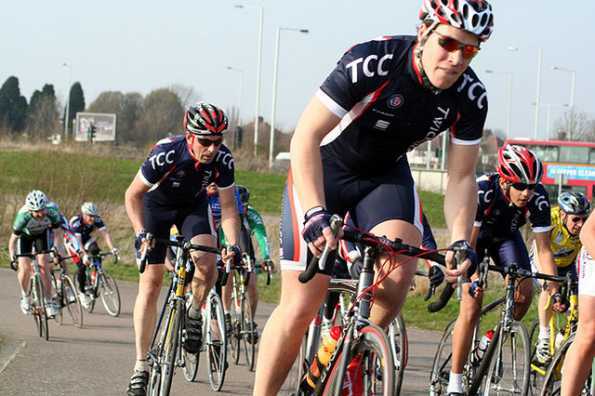 This weekend sees the resurrection of the London RR Champs at Cheddington. 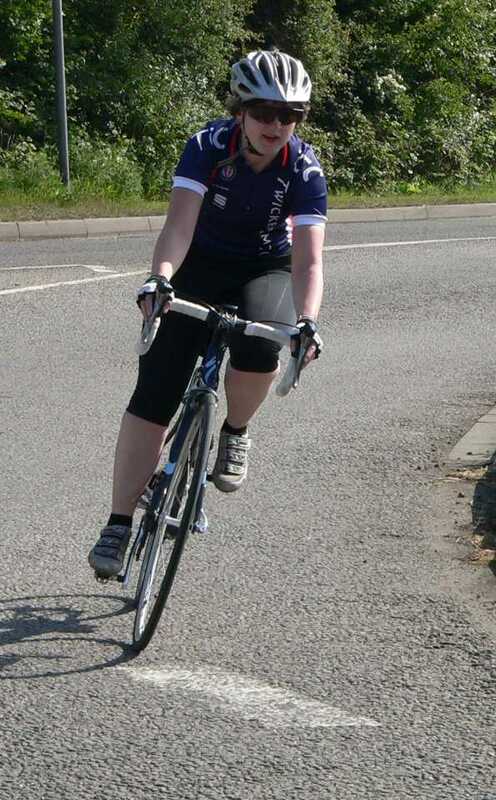 In addition, our best wishes also go to Liz Norman, who will be embarking upon the Race against Time from Lands End to John O'Groats, starting next Sunday in aid of the Bishop Simeon Trust.